I'm celebrating my one year blogging anniversary with my favorite celebration - Christmas! Don't worry - I'm not starting to build up to the holiday already, just a week of Christmas in July! 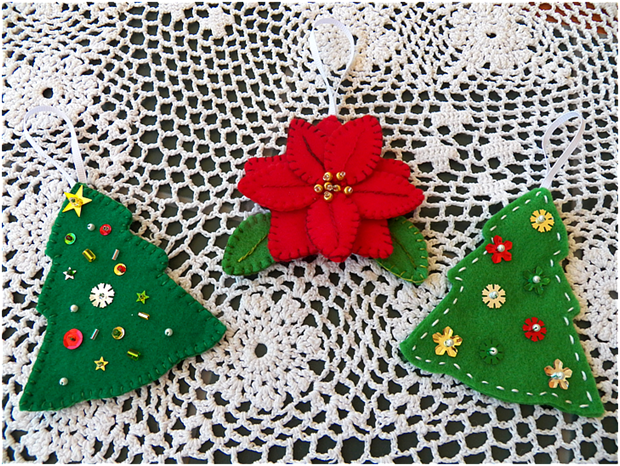 Today I have Part 1 of this year's layered felt ornaments and will bring you the rest in November. 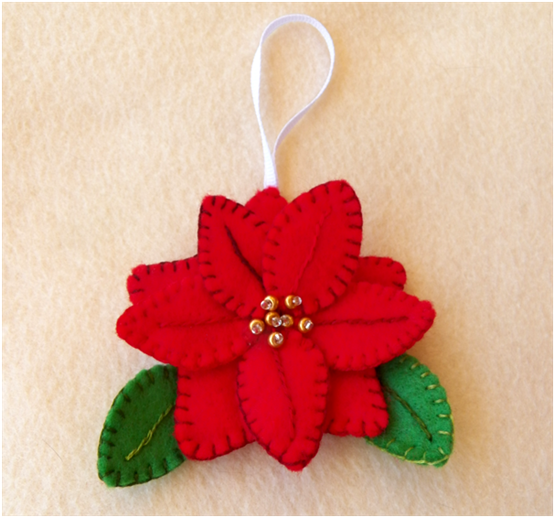 The tree ornament is one that can be made in many different ways. 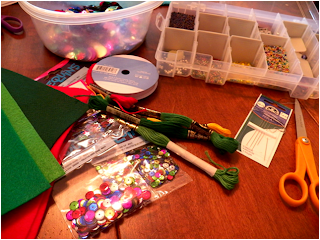 If the kids are on vacation and driving you crazy with being bored, sit them down in front of felt, sequins, beads and let them go at it! This might be a good time to teach them their first embroidery stitch - a blanket stitch - to sew the two tree pieces together. If that doesn't sound like a great idea, the pieces can also be sewn together with a running stitch, as I did on the lighter green tree. These can make fun gifts - as a nana, I know I'd love to get a hand made tree and would put it in the place of honor! *felt - the trees can really be any color, with greens and white being the most traditional. You'll need red and green for the poinsettias. 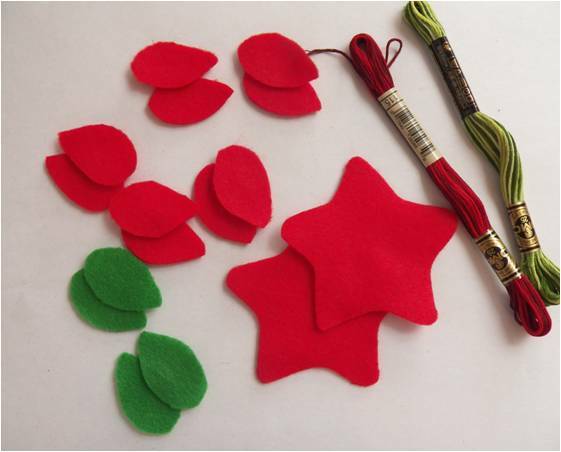 If you have two shades of red that go together, you can make the top petals and the star base different colors. 1. 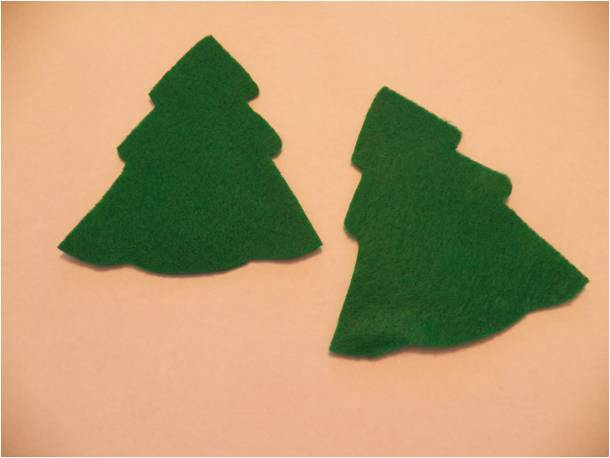 Cut two trees from felt using the pattern. 2. Sew on sequins and beads as ornaments. To keep sequins on, come up through the sequin, come up through a bead, and go down through the sequin. 3. Sew front to back with a blanket stitch or running stitch, sewing a loop of ribbon in between the layers on top for hanging. 1. Using the patterns, cut 10 petals from red, 4 petals from green, and two star bases from red. 2. 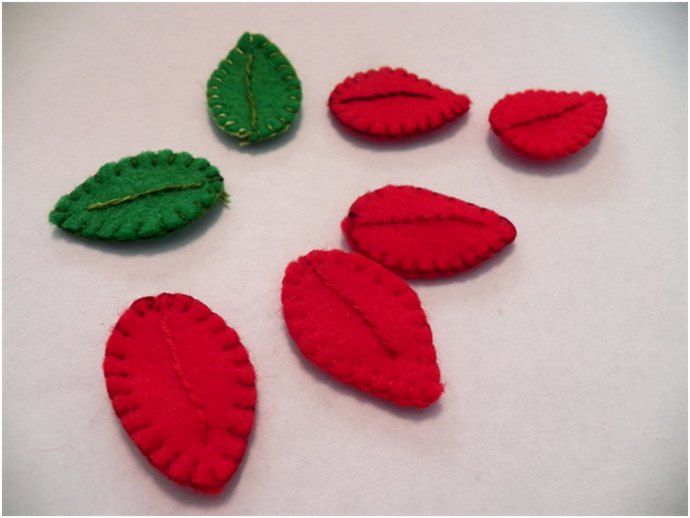 Sew petals and leaves together using a blanket stitch and then sewing down the center of each with an outline stitch. 3. Sew one petal to the star base as shown below, sewing around the base of the petal only. Add the next petal slightly overlapping the first. Continue until all petals are sewn on. 4. Add flower centers - come up through a gold bead, add a clear bead, and go down through the gold bead. 5. Sew the leaves on the BACK of the other star base (with the front of the leaf down), sewing around the base of the leaves only. 6. 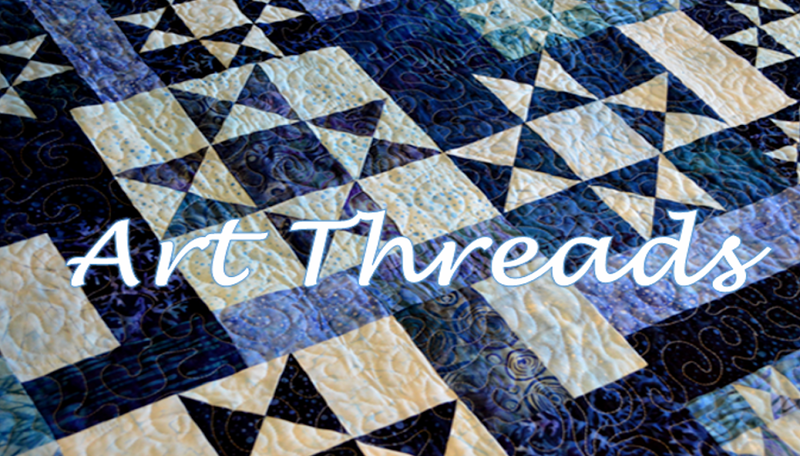 Pin back star base to the front star base and sew together using a blanket stitch. Sew a loop of ribbon in between the two star base layers at the top. This would also make a nice pin or hat decoration. Instead of a ribbon loop, sew a pin back onto the back star base before you join the two star bases together. I might need to make another one so I can do that! Great idea, and just the thing to keep my kids busy. My perfectionist 6 year old will love that the messy back of the stitching will be hidden on the inside. Plus, I have plenty of felt, embroidery floss, sequins and seed beads on hand. Hooray for craft supply hoarding! So pretty - quite the wow factor. Thanks so much for sharing! I love these. Thanks so much for sharing them and the patterns! Very nice photos and ideas. I love the poinsettias! Goodness, awesome work. Thanks for sharing the step by step procedure.. I will make your christmas decor for my tree.